Nesting the stars of a galloping startup ecosystem, the meandering alleyways around the Monastiraki district provide a vibrant, relatively inexpensive and highly inspiring setting for the creative businesses to thrive. 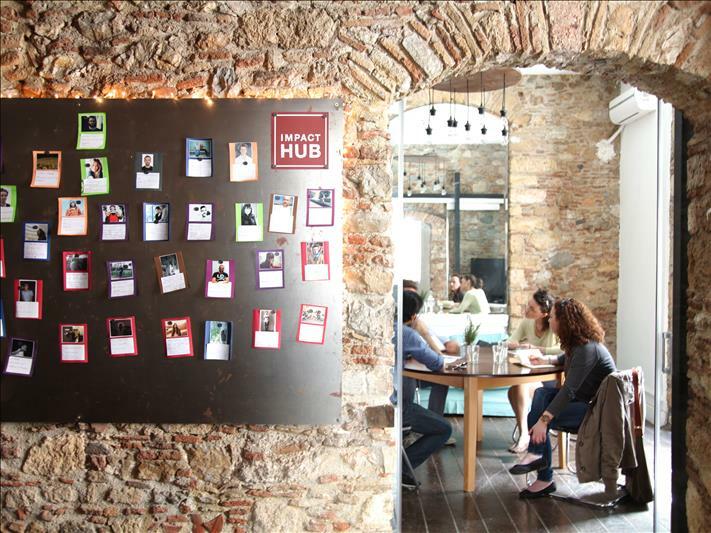 The Impact Hub is one of those places where the new face of Greek entrepreneurship is being forged. Sophie and Dimitris will introduce you to the founders in-the-making, show you around the space -an old mansion restored to its old charm- and even fix you up with prominent professionals and journalists.